Ice Age is a novel about bullying, competition, fear, and friendship. 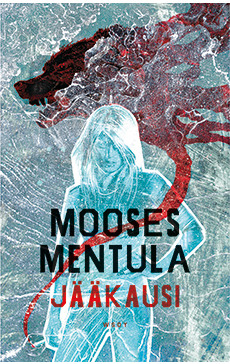 The paths of bullied middle-schooler Helmi and her teacher Juha cross in small northern town, and everyone ignores the yield signs. The collision sends Juha spinning into a current of cruel rumours, and he flounders helplessly in the eddy. Surrounded by peers who click into each other in majestic vistas and glamorous cityscapes, Helmi is a lone piece from the wrong puzzle. The book’s central questions are: Do we view others as a source of support or as a threat? Does our success demand we mow down others? The way the strong treat the weak is an eternal and, unfortunately, particularly timely theme.